Over the last 8 months or so Luke & I have been slowly adding colourful pieces to our house, and while I mostly love it, sometimes I wish Luke would get on board with the simple B&W combo. I love this. Black and white is so classy. You know what I love? 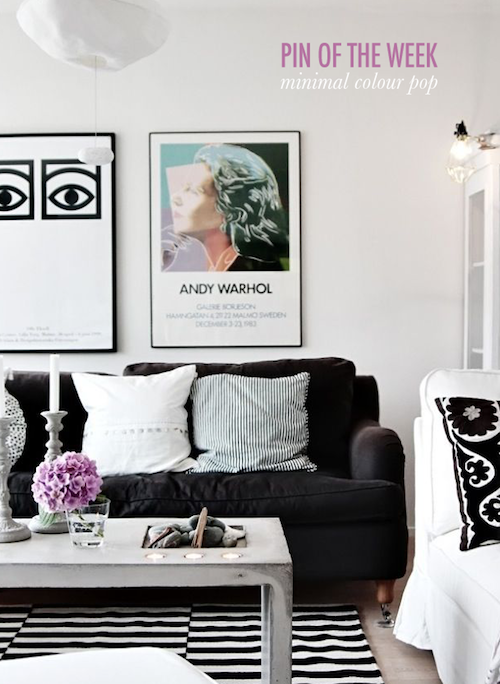 Black and white furniture and walls with colorful artwork on the walls. I just love that!